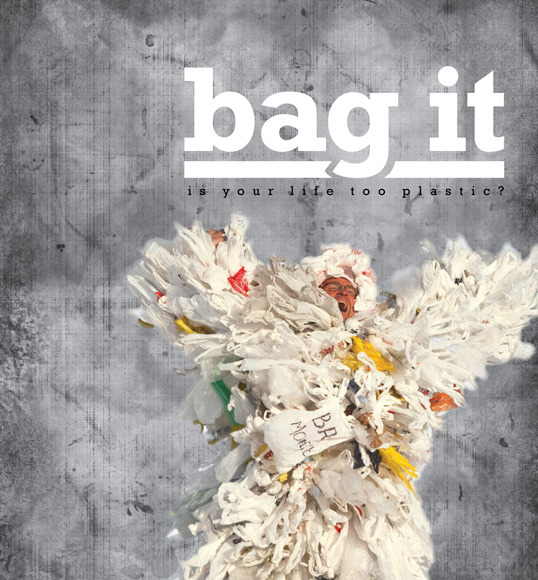 Green Challenge Film Fest: Bag it! The 2017 Green Challenge Film Fest, a collaboration of Oaklyn Green Team, Sustainable Collingswood and GMO Free NJ, aims to inspire community members into meaningful action by offering an optional green challenge with each film. This month’s offering is a screening of Bag It, which explores the impact of plastic shopping bags and other single use plastics. Movie: In Bag It an average guy, Jeb Berrier, makes a pledge to stop using plastic bags at the grocery store. Little does he know that this simple decision will change his life completely. He comes to the conclusion that our consumptive use of plastic has finally caught up to us, and looks at what we can do about it. Bag It will leave viewers feeling empowered, informed, and excited to create change starting today. Project: after the film, there will be s short tutorial on how to make a reusable shopping bag out of a t-shirt.